5 Travel Videographer Equipment Tips For You! Being a travel videographer was never in the plans for my Orlando video production company. I’ve never traveled outside of Florida for video production jobs other than a few of trips to Georgia for music video shoots. Well, recently I had the opportunity to visit Alaska. 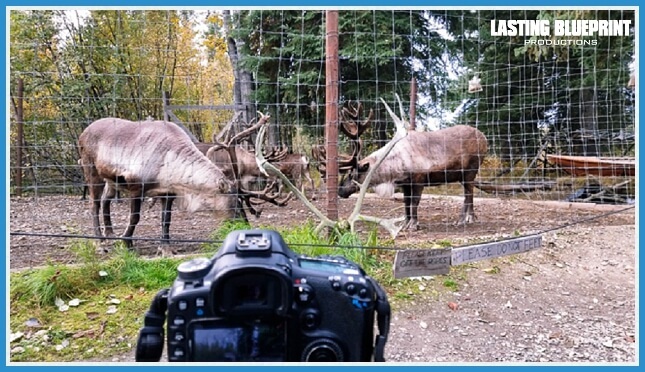 I never once thought that I would take a trip to Alaska, so it was only right that I brought my camera gear while traveling through The Last Frontier. Now to be quite honest it was quite stressful because you don’t know if you’re going to bring too much or too little. I was doing quite a bit of overthinking because I envisioned producing the best travel videos ever! So following my trip to Alaska I gained more of a grasp of what I should and should not have brought with me. That is why I decided on writing a blog post, so I can give tips to anyone that wants to become a travel videographer or just shoot cool vacation videos. What Do You Want To Accomplish As A Travel Videographer? So I know that you’re interested in becoming a travel videographer. Are you wanting to just shoot video clips of your trip or do you want to tell your vacation story? In this blog I am not going to tell you to buy the world if you’re simply wanting to video your Disney family vacation. So when you plan your trip, think about the end game for your travel videos. Everything after will fall into place. For travel videos, you don’t need the most expensive camera. 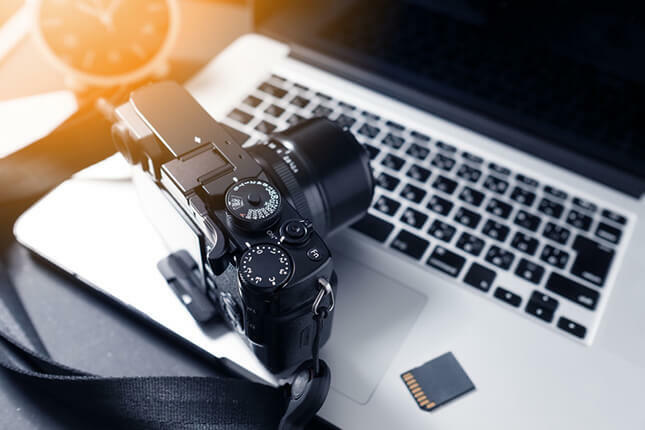 If you’re serious about becoming a travel videographer, you will need a good camera that will not hinder your travel experience. For example, if you’re not into manual focusing, you will need to find a camera that will autofocus. You Might Be Wondering: Do You Need A Camera That Does 4k Video? We previously published a blog, Do We Need 4k Content For Video Marketing? Check it out! That blog post can also apply to travel videography. If you can afford the extra storage for 4k, do it! 4k resolution will add detail to wide shots and help with video editing. DSLR and mirrorless are the best types of camera for travel and run and gun filmmaking. I recommend them if you want to become a travel videographer. Here Are A Few Camera & Lens Suggestions For You. What Should A Travel Videographer Have In The Camera Bag? First, if you don’t have a travel bag, you will need one. 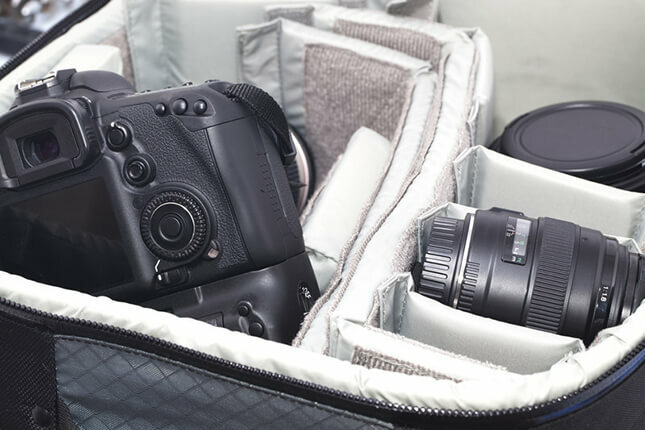 Have a look at the best camera bags for travel. For packing tips, you don’t have to bring two of everything, but make sure you cover your basis depending on what you will want to shoot. It also depends on what you will be doing when traveling. If you’re going to be freelancing, then you can bring as much or as little as you choose. If you’re going to be doing excursions and/or group tours that aren’t photography specific, just know that you will be dealing with people that could care less about your cool travel video ideas. If so, packing light for travel while you are out in the field will go a long way to shooting the best travel videos possible. Whether you’re an amateur or professional videographer, make sure you back everything up. 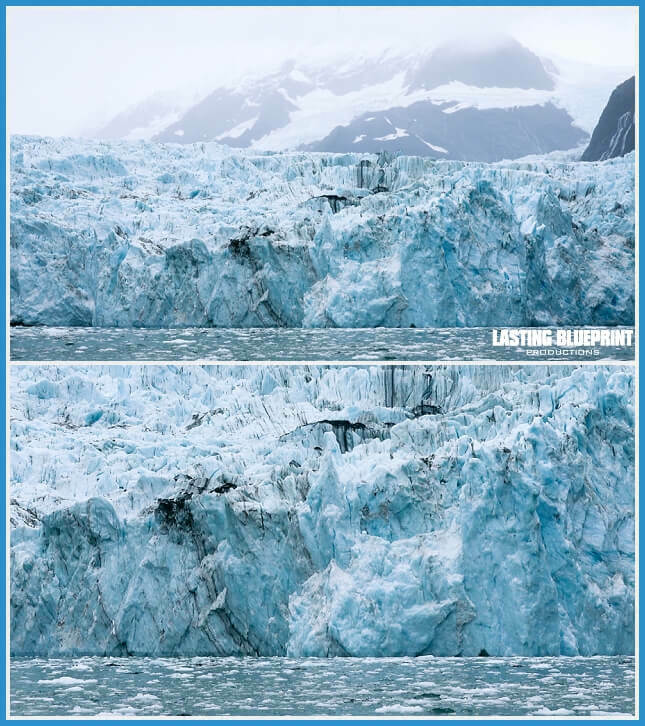 On my trip to Alaska, I used a laptop, portable hard drives, and Dropbox to back my video files up at the end of each day. I’m not saying that this is the best way to backup data, but you can never have enough backup options because you never know what might or could happen. I’d also suggest keeping a backup on you at all times, just in case something happens to your luggage. You don’t want to be that travel videographer that lost all of their files. If you’re flying and don’t want your camera equipment being transported via airline, renting camera equipment is certainly an alternative. To me it’s safer and if you have a lot of gear, might save you money. Not only that, but if you want to rent equipment that I have mentioned to try out, or just want to be a fancy travel videographer and have extra goodies, then renting is a route for you to think about. We suggest checking out LensRentals.com for camera equipment rentals. Like I said, it depends on what you want to do with your travel videos. This blog post is geared towards the pro that wants to get into travel videography, but it still applies to the newbie with fun travel video ideas. I didn’t want to write a long article because video production can be overwhelming. Hopefully my tips will point you down the right road into becoming a great travel videographer. Remember, you don’t need everything from my recommended travel video equipment lists! You can buy or rent the travel videography gear that will work for your trip! If you have any travel filmmaking questions, ask in the comments or send an email. I will be more than happy to answer them!